Europe has an abundance of renewable energy sources, and its countries in recent years have become leaders in driving the deployment of renewable technologies. Efforts to increase the sustainability of energy systems in Europe are ongoing, with renewable energy targets set for all European countries and the goal of the European Union (EU) members to become “the world number one in renewables”, according to European Commission President Jean-Claude Juncker. The EU has adopted targets to achieve a 20% share of renewable energy in energy consumption by 2020, and 32% by 2030. Experiences gained in the early 2000s demonstrated the importance of enabling frameworks for renewables, and such frameworks remain at the heart of the EU’s policy process. 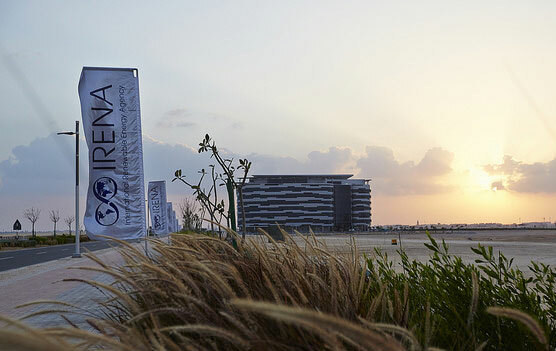 As a centre of excellence for renewable energy knowledge, technology and innovation, IRENA provides support to all stakeholders contributing to the ongoing energy transition. At the request of the European Commission, IRENA developed a regional REmap analysis for the EU to help identify cost-effective renewable energy pathways that could bolster the bloc’s ambition to use more renewables. Countries across southern and eastern Europe, including those still outside the EU, have increasingly aligned their energy and economic growth plans with the EU sustainability strategy. IRENA, through its South East Europe Regional Initiative, is also pursuing collaboration with countries of the region and the Energy Community – an international organisation including the EU and some non-member states to its east – in order to support the creation of more conducive frameworks for renewable energy investment. The development of renewables in South East Europe has been relatively limited, apart from decades-old large-scale hydropower capacity. Conference "Auction Support Scheme in Ukraine for Renewable Energy Deployment"